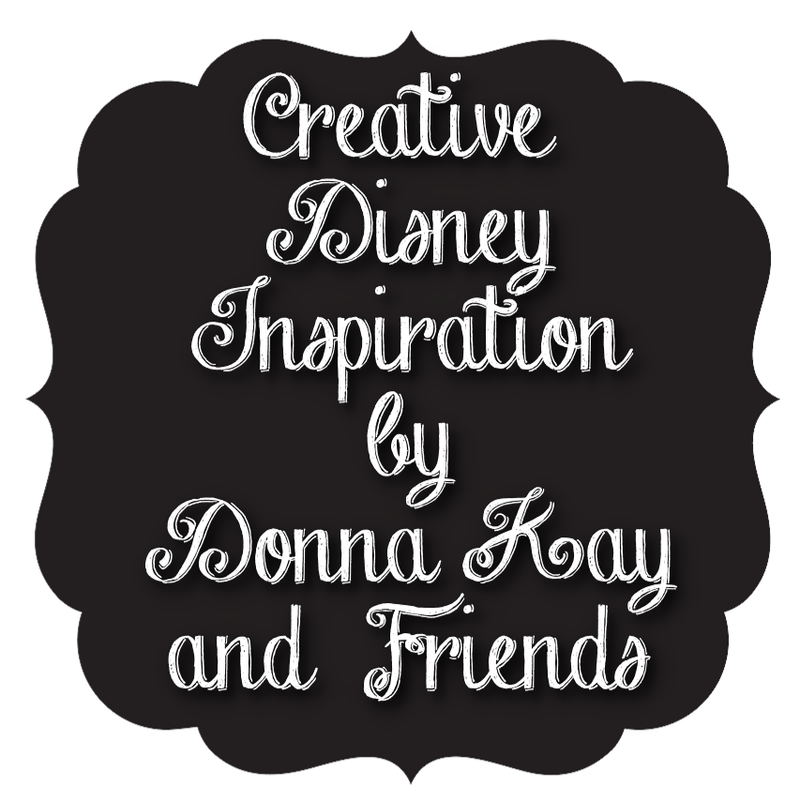 Today's Creative Disney Inspiration is an invitation I created with FotoFusion from Lumapix for my friend Beth from A Disney Mom's Thoughts. Her little man was turning 4 and I made it hoping she may be able to incorporate it into her party plans. Needless to say I was thrilled when she used it!! Beth had pinned some very cute digital paper by Lane & May from Etsy on Pinterest and that's where this invitation began. I also found Woody on Etsy at Hislifemagazine. I wanted to make the invitation look like Andy's room so I chose the cloud paper as my background. Then I added the wood floor. Next I created two white rectangles with shadows to resemble baseboards. I chose my fonts - for "Howdy Partner!" I used LD Wanted and for the body of the invitation I used Kristen ITC - and added the text. Next I added the "4" in LD Wanted and used a wide red outline and added the Woody png file to finish the invitation. I created the file as a 6x4 to make it easy to have the invitation printed locally without losing any of the file. 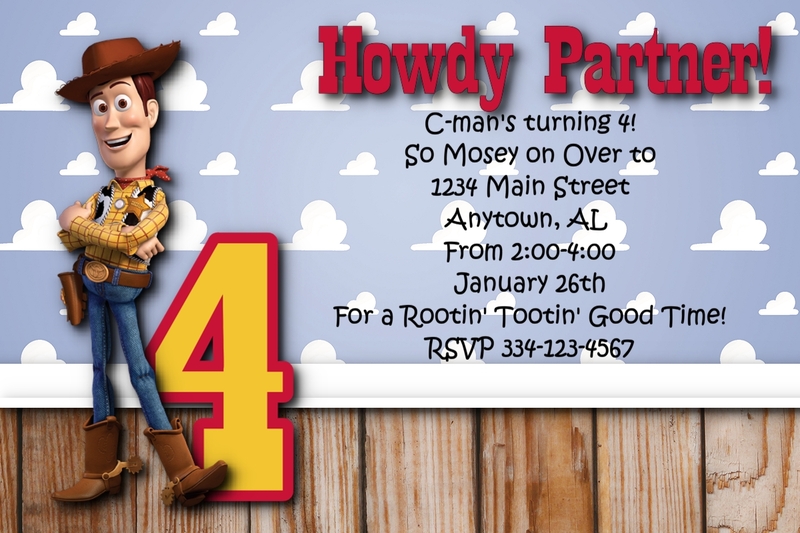 Beth did such a fabulous job with this party, be sure to visit A Disney Mom's Thoughts to see all of her wonderful decorations, food and activities for this Cowboy Wood party. You can also follow her on Facebook, Pinterest and Twitter. She has some pretty great stuff in all three places and she's been to Walt Disney World more often than anyone else I know. 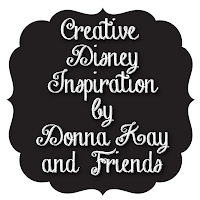 Hope you have enjoyed this 14th installment of Creative Disney Inspiration, as always if you make any of the projects please share them on the Disney Donna Kay Facebook page. I would love to see them!! awesome friend! Thanks so much for the shout out!! Even though we live in the same state, I wish we lived closer!!! :) Love ya! I really wish we were closer too! The one time I was in your neck of the woods and it had to be raining something awful!! There was no way I was have you get out in that mess when you were so far along in your pregnancy!! It will happen one day!! Hugs! !